Recently, former Microsoft CEO Steve Ballmer made headlines when he officially completed his purchase of the Los Angeles Clippers, taking over the team from controversial former owner Donald Sterling. Although it's an exciting time for what's usually considered LA's second-tier basketball team, Ballmer's departure leaves a sizable hole at Microsoft, one that will have to be filled by someone with the ability to lead the tech giant into an increasingly digital and mobilized future. Ballmer officially stepped down from his post as CEO earlier this year, and just this week he resigned from the company's board of directors. This means he is severing any significant ties he has with the organization. Before stepping down, he shared a heartfelt message regarding his time with Microsoft. "First, Microsoft has been my life's work and I am proud of that and excited by what I see in front of the company and this leadership team," he said. "There are challenges ahead but the opportunities are even larger. No company in the world has the mix of software skills, cloud skills, and hardware skills we have assembled. We draw talent as well as any company in the world. We have the profitability to invest in long-term opportunities and still deliver superior shorter term performance. You're off to a bold and exciting start." 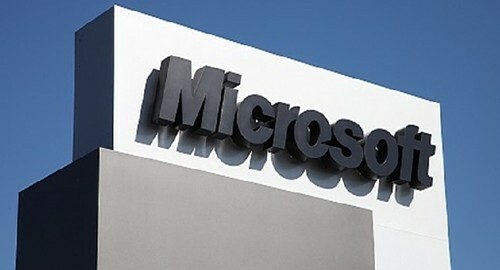 Microsoft is in a state of flux as most analysts say it has not been able to maintain a solid market position in the mobile space, having been outpaced by competitors Apple and Google. Satya Nadella took over as CEO in February, but if the company is truly looking to initiate an executive shakeup it may have to find new people. Ballmer left a significant impact on the company, and replacing him in any capacity will require a lot of work on Microsoft's end. Organizations that find themselves in a similar situation can help their cause by working with an executive search firm. The c-level is not impervious to turnover of its own and ultimately people have to do what's best for them, their families and their careers. The key is to eliminate the risk of damaging repercussions once sometime leaves. The transition from old to new must be as seamless as possible and the company has to operate to its full capacity in the meantime. Finding the right executives or senior managers to replace departing workers will help lead the company into the future.